Organize and Present Your Brochures with Our Attractive, High-Quality, Affordable Brochure Holders, Wall Racks and Floor Spinners. 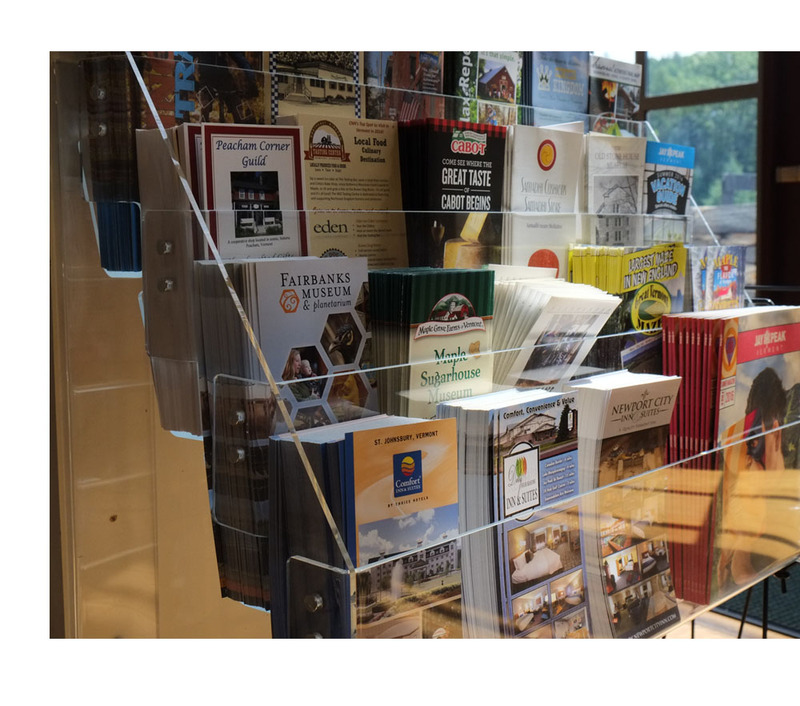 Do you display brochures in your store, office, restaurant, hotel, visitor center, or other tourist destination? Our broad selection of polished clear acrylic and sustainable birch plywood holders will help you collect up and present all your brochures cleanly and elegantly. Tri-fold brochures, pamphlets, leaflets and flyers can be neatly stacked in wall-mounted or slat wall racks. Larger collections of brochures can be organized into our attractive floor spinners. Or you can present brochures or other printed materials or media into any of our many countertop stands and holders. We make these in our own US manufacturing space out of quality polished acrylic or green Baltic Birch Plywood, and almost all are in stock for immediate shipping.